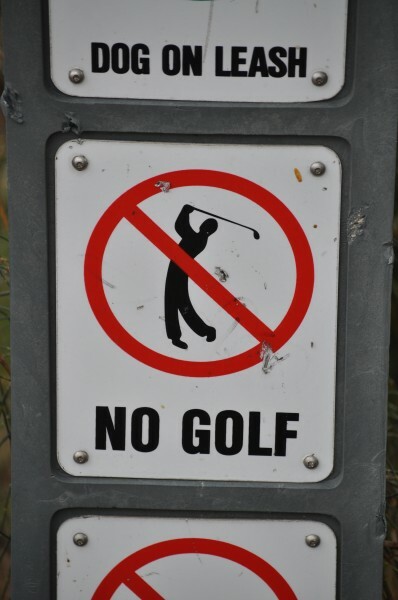 Over the last year or so, there have been many course closures, sales and merger announcements throughout Australia.. One by one, golf clubs and courses are breaking under enormous financial pressures and a changing mindset and lifestyle of golfers. “But surely it won’t happen to OUR club,” I can hear you whisper. For those of you whose clubs (and Boards or Committees) continue to bury their heads in the bunkers, then be warned: It can happen to you. No amount of money, history or pride will make you immune to the growing threat of a dwindling market. Waiting lists are all but gone, joining fees are disappearing and high-priced subs are being slashed. The brutal, cold truth of the matter is that today’s golfers are a completely different species than in the past. They seek (nay, demand) a different offering for their golfing dollar. And most clubs are failing to give them what they want. This is precisely why more golfers are choosing to ditch their private memberships and migrate to social play. Australia’s Social Golf market is growing at an amazing rate. Clubs and groups like the RACV Golf membership, iGolf Queensland, Crown Lager Social Club and the SGA Tour operated by Social Golf Australia are all capitalising on this growing trend. Their fields are getting larger, their prizes more significant, and the camaraderie stronger than ever. So what, exactly do today’s golfers want? Variety: Variety is the spice of life. In golf, this can mean different challenges, layouts and experiences. Social golf groups play a variety of spectacular courses every week/fortnight/month. A Club golfer, on the other hand, has only one (maybe two) courses. And yet most Clubs refuse to overhaul their current reciprocal arrangements. In my opinion, more clubs should band together to create “Super Clubs” where their golfers can pay one annual fee, and have open access to multiple of courses in their area. Flexibility: Today’s golfer demands options around when they play. They likely cannot play every weekend due to family, work, etc. A social group allows them to pick and choose when they play, at a time that is convenient. Club golfers, however, usually must choose only a six or seven-day membership –with no options like, say, one-day, three-day, twilight or credit-based arrangement. Value: Social Groups often have little or no joining fee, can offer official handicaps, and a “pay when you play” ability. If a golfer cannot play one week, then they don’t have to pay. A club golfer, on the other hand, pays their subs whether they play golf or not. The maths are simple: if subs are, say $2400 per year, and a golfer can only find time to play once a month, then they are in essence paying $200 per round of golf. Is your course truly worth $200 for 18 holes? Before you answer that, be aware that social groups are playing some of Australia’s very best courses for a lot less. When you look at it, most private clubs simply cannot compete. So how can clubs bend (and not break) in this environment. Firstly, it’s important to welcome these social clubs to your course. 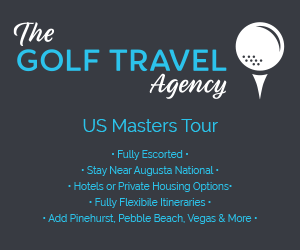 They are today’s largest possible “potential membership pool” and offer a much better long-term value to your course than, say a corporate group (which is often composed of once-a-year golfers, etc), or a course value-destroying Scoopon-type deal. Secondly: Take care of them regarding group pricing. One social group told me recently that a certain course—of which this social group has brought significant business over many years—was suddenly offering a Scoopon-type deal to the general public that was significantly below the rate at which the social group had been paying for years. The real shocker to me was that the club wouldn’t offer the social group a competitive rate anywhere near their Scoopon rate. As a result, the social group took their 70+ players to another course. And with them went thousands of dollars in potential green fees and food & beverage sales, not to mention 70+ potential new members. In essence, the course was thumbing their nose at a loyal social group in favour of selling deeply discounted green fees to total strangers who, by and large, have more loyalty to a Scoopon site than they do the course itself (the vast majority of these discount-shoppers will never join a course, but will instead “follow the deal” from course to course.) In the process, the course de-valued itself to a point where the average golfer would baulk at ever paying the original/normal fee. Finally—and most importantly—don’t simply ignore the growing social golf market. These players could very well be the difference between your club posting an “Open for Business” sign or a “For Sale” sign. One Response to "Is your golf club anti-social?" With all due respect, there are certain “private clubs” who are growing strongly and there will always be a market for the “top of the crop”. I feel there are other courses that should host members and visitors from many other clubs on a more regular basis (an Interclub Competition or time swaps). It’s so hard to introduce a variety of competitions into an established club where the members want the “same old comps”. One restriction is that there are elections every year. Would love to be like the UK……….1 Medal per month, the odd trophy in rememberance of someone and far more social golf.